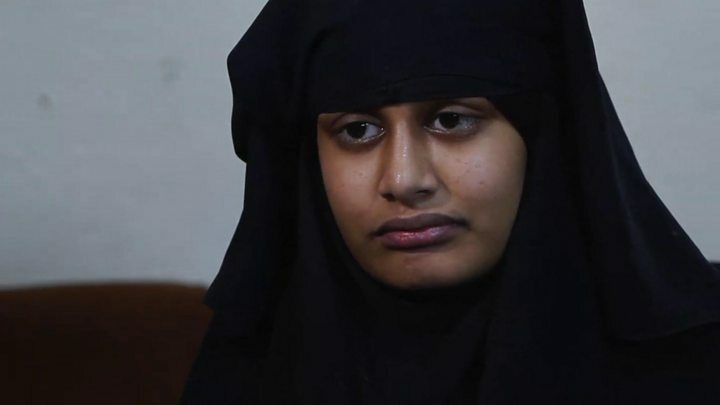 The family of Shamima Begum - who left the UK to join the Islamic State group in Syria - have told the home secretary they are going to challenge his decision to revoke her UK citizenship. In the letter to Sajid Javid, seen by the BBC, they say they "cannot simply abandon her". They also asked for assistance in bringing her newborn baby to the UK. Mr Javid said he has not read the letter yet but will be "looking closely at it". He added: "Sadly, foreign fighters that have left our country to go and join a terrorist organisation, many of them will have taken children or had children there. "Obviously all these children are perfectly innocent." Ms Begum, who left Bethnal Green, east London in 2015, is living in a refugee camp in northern Syria and gave birth to a son last weekend. In an interview with the BBC on Monday, she said she did not regret travelling to Syria, though she added that she did not agree with everything the IS group had done. She told the BBC she was "shocked" by the 2017 Manchester Arena attack - which killed 22 people and was claimed by IS - but she also compared it to military assaults on IS strongholds by coalition forces, saying it was "retaliation". The letter, written by her sister Renu Begum on behalf of the family, says: "We wish to make clear, that along with the rest of the country, we are shocked and appalled at the vile comments she has made to the media in recent days. Renu Begum says the family made "every fathomable effort" to stop Shamima Begum from getting into Islamic State territory in 2015. "That year we lost Shamima to a murderous and misogynistic cult. She is careful to stress how shocked they were by Shamima Begum's comments. But she is also equally vehement about how they cannot abandon her sister and how they "must" - to use their words - challenge his decision. The appeal for help in bringing Shamima Begum's baby son back to the UK will be one of the hardest parts of the letter politically for the Home Secretary Sajid Javid. He said in the House of Commons that the children of IS members would not lose their British citizenship. Renu Begum points out that Jarrar - who is not yet a week old - is the "one true innocent" in what they call the "debacle". In the letter, Renu Begum says none of the family has had any contact with Shamima, but they have watched her on television "set fire to our nation's emotions". She says they were "sickened" by Shamima's comments but hope Mr Javid understands that her family "cannot simply abandon her". The letter says: "We have a duty to her, and a duty to hope that as she was groomed into what she has become, she can equally be helped back into the sister I knew, and daughter my parents bore. "We hope you understand our position in this respect and why we must, therefore, assist Shamima in challenging your decision to take away the one thing that is her only hope at rehabilitation, her British citizenship." The Home Office has said it is possible to strip the teenager of British nationality on the grounds that she is eligible for citizenship of another country - Bangladesh, through her mother, who is a Bangladeshi citizen. However, Bangladesh's ministry of foreign affairs has said Ms Begum is not a Bangladeshi citizen and there was "no question" of her being allowed into the country. The home secretary said he would not leave an individual stateless, which is illegal under international law. Mr Javid also suggested Ms Begum's child could still be British, despite the removal of Ms Begum's citizenship. Labour leader Jeremy Corbyn said Mr Javid's decision was "extreme" and she had "a right to return to Britain". 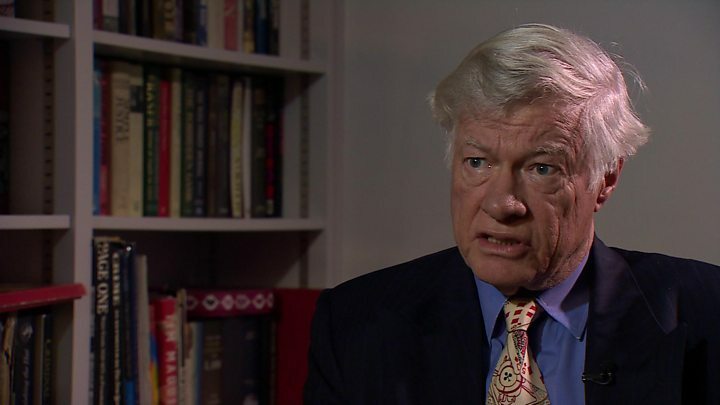 Geoffrey Robertson QC, a former United Nations judge, said it should be up to the UK courts to determine what punishment she should receive for joining a terrorist organisation. He told the BBC: "It's surely for a judge to decide whether she deserves mercy or sympathy, not for a politician."